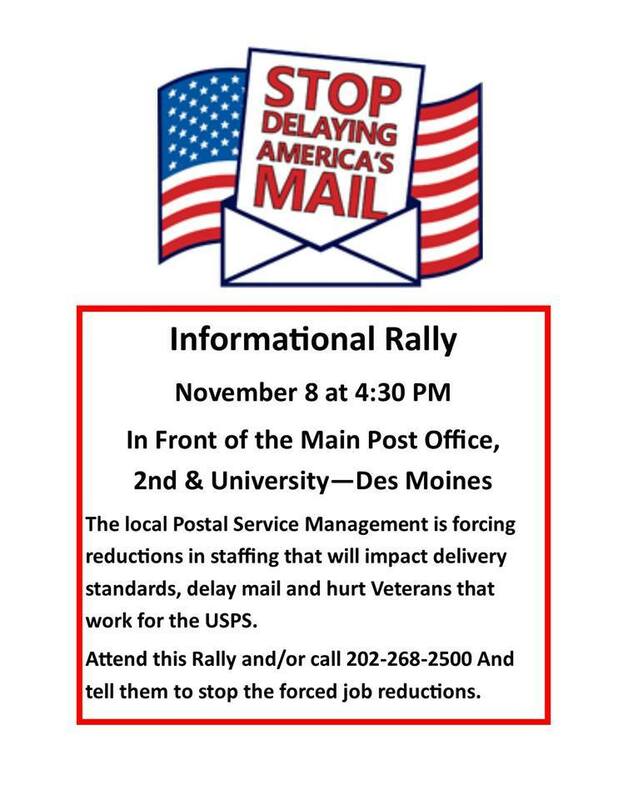 Postal workers in Des Moines will protest ongoing cuts to the agency this week. Local employees of the United States Postal Service will join a series of national protests as they picket outside the downtown post office, 1165 Second Avenue, from 4:30 to 6 p.m. Wednesday. 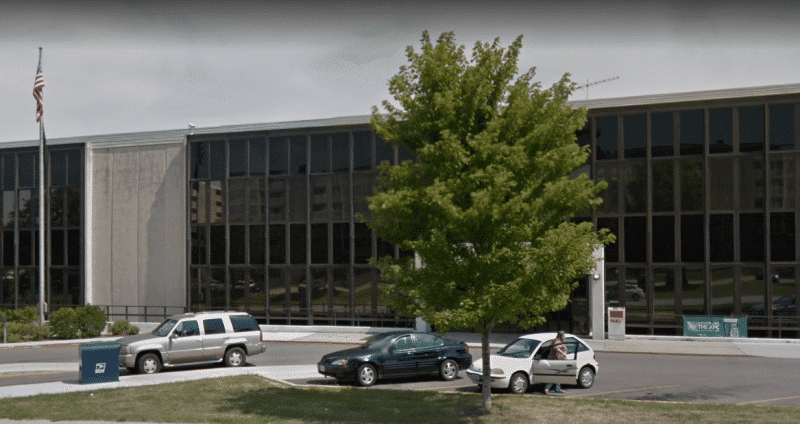 Union officials say management has already eliminated 36 of approximately 300 jobs at the main Des Moines post office with plans to cut another 34 jobs —a total reduction of more than 20 percent. She said the postal service is self-funded and pays for its operations through the sale of its products and services. St. John said the post office is realigning work hours, locations and job titles as allowed within collective bargaining agreements. Still, she said the organization is “committed to providing first-class service” in Des Moines and across the country. This entry was posted in Downsizing USPS, General Union Business and tagged cutting jobs, Des Moines Area APWU Local 44, job reductions, picket, protest cutbacks, realigning the workforce. Bookmark the permalink. THE USPS IS NOT LOSING MONEY AND VOLUME IS NOT DECREASING. IN 2009 the USPS delivered about 160 billion pieces of mail. in 2015 the USPS delivered about 167 billion pieces of mail. MANAGEMENT LIES!